Did you know that your SDMB membership provides you awesome discounts at local businesses? 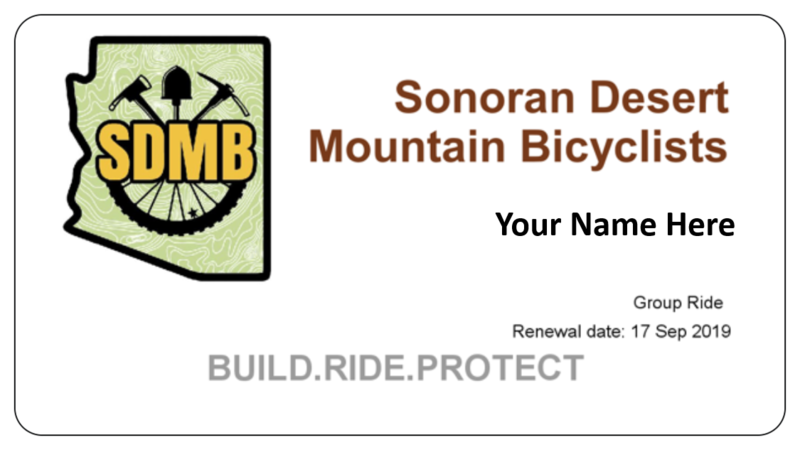 All of our business supporters value the work that SDMB does for trails in the greater Tucson region. They also value SDMB members and many of them offer SDMB members significant discounts (see below, updated monthly). Please support local businesses and get yourself a great deal on new gear! To access these discounts you need to present your SDMB member ID accessed through your Wild Apricot account (via iOS app, Android app, or online browser). This ID card allows businesses to quickly see that you are a valued SDMB member, as well as you renewal date. Expired memberships will not qualify for discounts, so make sure to keep that membership current! Need to sign up for the first time? Do so HERE.